Unique posters for Season 3 on the HBO website, a total of in 12 all, with a new one released every week. “A Mini Drop of True Blood” – Mini episodes based around certain characters, giving an extended look about events between seasons 2 and 3. The episodes are Fangtasia, Jessica, Sookie, Sam, Bill, and finally Jason. Huge viral marketing campaign on Twitter. The characters have their own accounts, as does @TrueBloodHBO. While HBO isn’t affiliated with the character’s tweets, they do provide entertainment as they LARP out their lives via 140 characters. Inside looks and interviews with the cast about Season 3. Seasons 1 and 2 on HBO On Demand (for Comcast customers), for those who need to catch up. The marketing of merchandise, including and not limited to a Merlotte’s Bar and Grill shirt and a carbonated TruBlood Drink named for blood types. Fan pages on Facebook for the show and characters. There’s more I know, but this is just what I’ve experienced so far. This is a huge undertaking by HBO to build as much hype as possible for the new season. Last month the Facebook fan page did a contest for the Ultimate Trubie Fan Experience. The contest ran from May 14th through the 28th, started at 6:13PM and every 6 minutes and 13 seconds cycled through a different US city until 6:13AM. I won passes for Atlanta, and I’m glad I did, because halfway through the contest cities ran out of passes. They extended “general admission passes” on a first come, first serve basis (flew like hotcakes), and put a very limited number of passes in a few Season 2 DVD sets in certain cities. Live Q&A with Alan Ball, Anna Paquin, Stephen Moyer, Deborah Ann Woll, Alaxander Skarsgard, Sam Trammell, Rutina Wesley, and Ryan Kwanten via satellite feed from the set in LA. I got there at 10:30PM, and there was already a decent line. We were told by some of the reps no one was actually going into the theater until 11. I think this was poor planning on our theater’s part, the cut off for anyone signing in was 11:30. By the time I got to the registration table, it was 11:20. But I digress. HBO set up a red carpet in each of the 50 cities, and we all got to have our pictures taken. Some cities had more to-dos than others; DC had a huge cardboard stand-up of a bottle of TruBlood with Bill’s Missing poster, other large posters, fans in other cities either acquired or made Hello tags identifying their species (Vampire, Fangbanger, Werewolf or Shapeshifter). Our theater gave us a wristband that would get us a free drink at the concession stand, and not a small drink either. I swear, that cup was quart size. You can’t tell me different. There was a pre-show feed that involved the minisodes and some interviews. Then the feed started and we watched the finale of Season 2. For being a live feed, it was good until the part where Sam kills Maryann. Right when he gorged her with his horn in cow form, the feed froze. We laughed, we commented, I loudly commented that someone should Tweet the frozen picture (people laughed). The feed was fixed shortly after, and after the finale was over, Alan apologized for the trouble and joked that Maryann wasn’t dead and was messing with the feed, then suggested that everyone in the theaters check their eyes and hearts and make sure they were okay. We laughed. The live Q&A started. It was funny, it was a little enlightening, overall entertaining. I think if they could have set up an interactive thing, it would have been better. I’m going to rabbit trail for a minute and talk about Anna and Stephen’s body language. The two are a couple, engaged, and were seated beside each other, but during the Q&A their body language was so off. Anna sat ramrod straight with her hands in her lap and barely looked at Stephen or cracked a smile. Stephen leaned away from Anna the entire time, leaning so far over he was practically touching Deborah Ann Woll (Jessica). I don’t know if I’m reading more into that than necessary, but that’s how they were sitting. Yeah they were on the set, professionalism, whatever. They weren’t acting together. This next bit could be argued that “they were on set”, but that engagement ring Anna’s been sporting? It wasn’t on her finger. Like I said, I’m probably reading way too into it, but that’s what I saw. I digress, back on track. After everything was over and we were leaving, the HBO crew handed us swag bags. 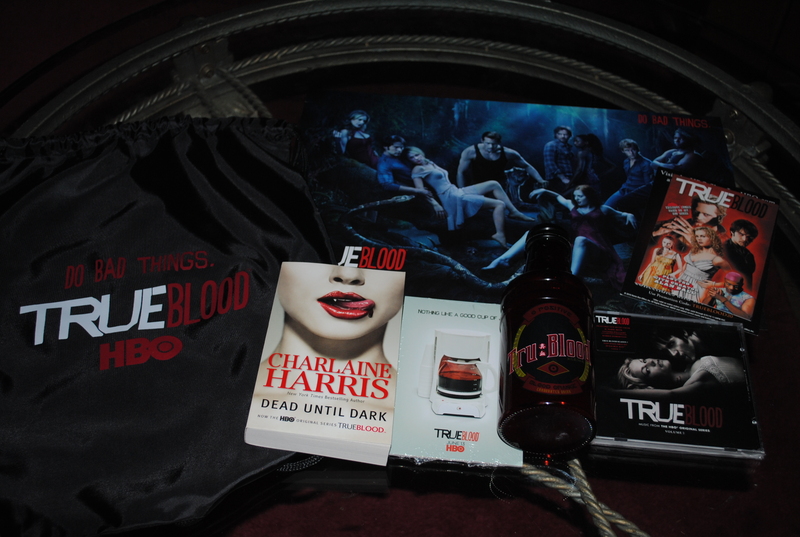 A True Blood bag, a bottle of TruBlood, a poster of the cast, soundtrack to the show, a Sookie Stackhouse book, a couple other goodies. It was a fun time. 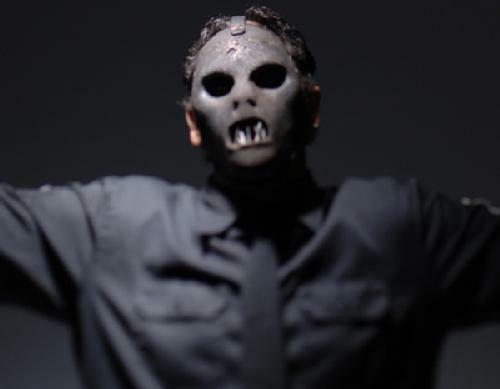 No, the title doesn’t insinuate that Paul Gray WAS Slipknot. All 9 members played an equal, pivotal part of the band’s music and style. Slipknot has said if any of the members died or left the band, that would be the end of them. Paul, you will be missed. If anyone cares to know, Left Behind is one of my favorite Slipknot songs, hence the choice of lyrics.